These days, if it’s sweet treats you’re after, it’s all too easy to pop into a supermarket or your local Greggs and pick up an average donut, cronut, or whatsitsnut for less than a quid and fulfil your daily calorie allowance in one fell swoop. But grabbing something off a shelf isn’t quite the same as entering the Willy Wonka world of a proper patisserie and gazing longingly at the sugar-laden jewels until you eventually have to choose one with a half-hearted effort at ‘eeny, meeny, miny moe’. 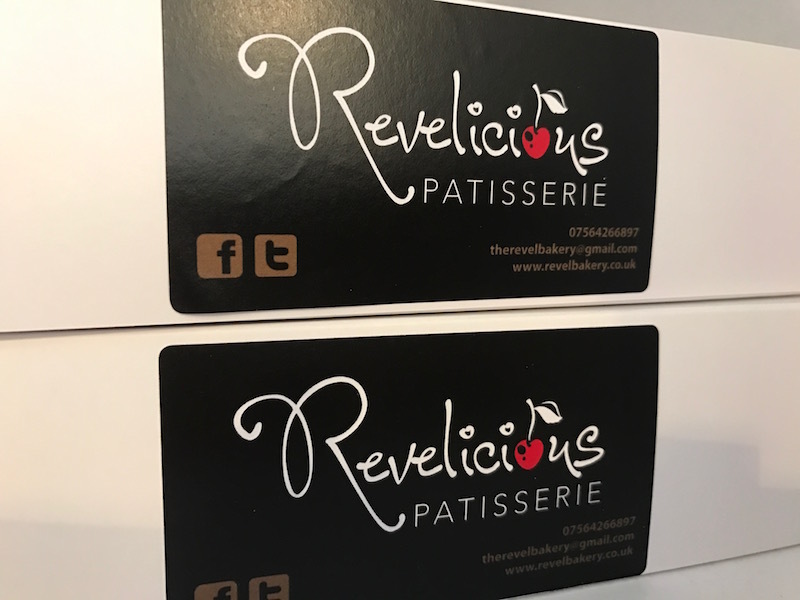 Lucky for us, in Rugby we have the opportunity to do just that thanks to the marvellous Revelicious Patisserie. 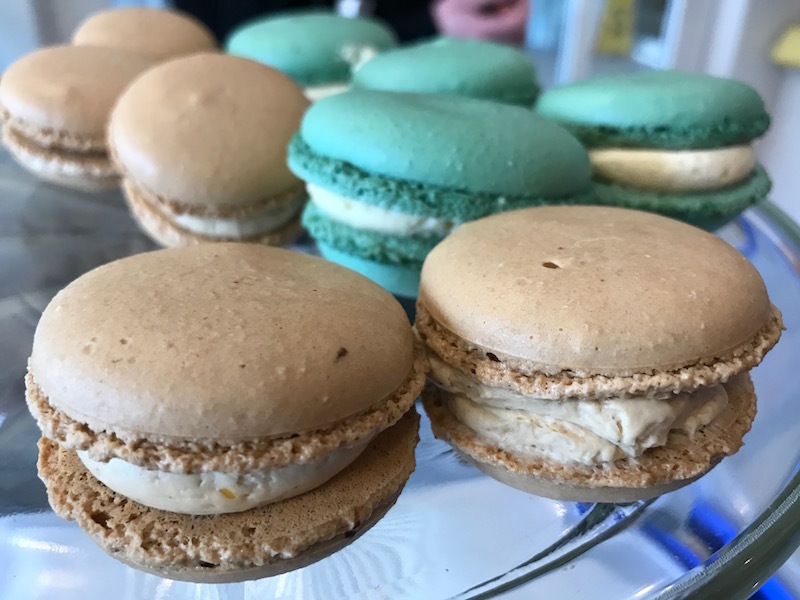 The sweet sibling of the Revel Bakery just outside Rugby, it only opens a few days a week proffering all sorts of indulgent delights, from cinnamon swirls to cake creations with mirror-like sheens on them and the all-famous, uber-trendy macaron. After trying some of these colourful, sugar-laden little beauties made by Lac Hincu, who runs Revel Bakery with Maurice Hartnett, I was addicted. So when Lac invited me and our mutual friend Kerry along to Revelicious on a Sunday to try our own hand at making them, I couldn’t resist. Before you ask, they’re macarons. Well, the ones we made at least. I know there are regular disagreements about what’s what but I’ve double-checked with Lac and we definitely made macarons. The other ones – macaroons – are a different kind of cookie made with coconut. After cracking open a bottle of bubbles, we started off with what was going to be a labour of love to try to replicate Lac’s gorgeous creations under her expert guidance. 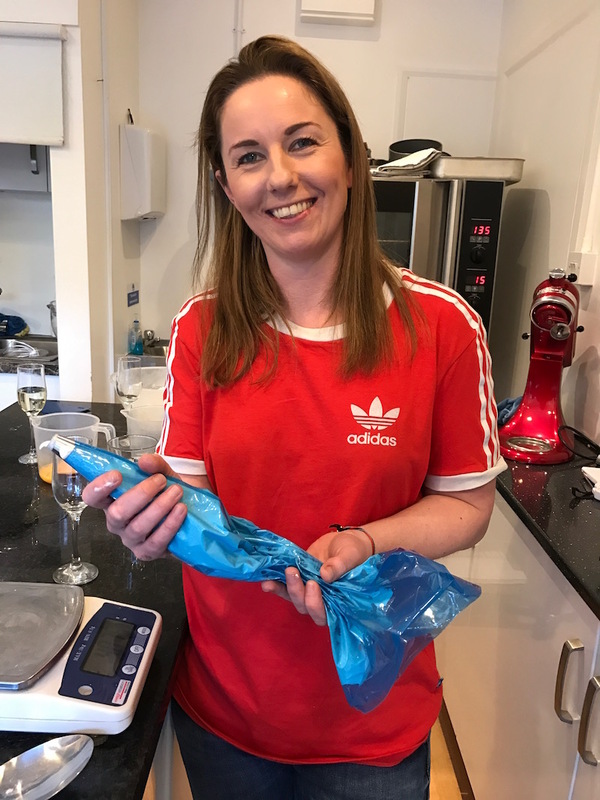 Lac has kindly given me her recipe, tried and tested over hours of macaron-making, so I’ve put the basic ingredients and their proportions at the bottom of this post but you’ll have to keep reading to get the method. In essence, you start by making an Italian meringue then fold in the almond-laced macaron mixture. If you’re wondering what the difference is between a French or Swiss meringue and the Italian version, it’s all about adding hot sugar syrup to the egg whites as they are being beaten. Lucky for me and Kerry, we had Lac on hand to make sure we got everything to the right temperature without creating scrambled eggs. 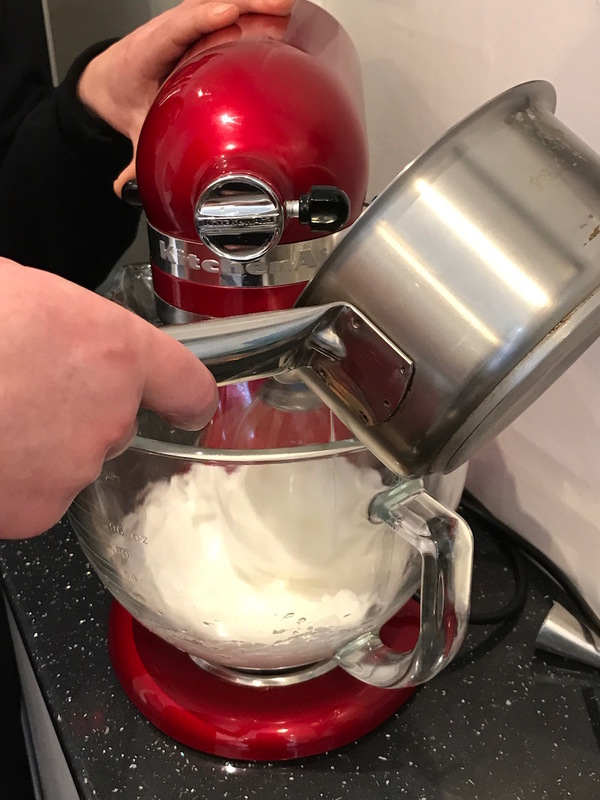 After you make the meringue, you make a mixture of almond, egg white and icing sugar, then mix the two together. 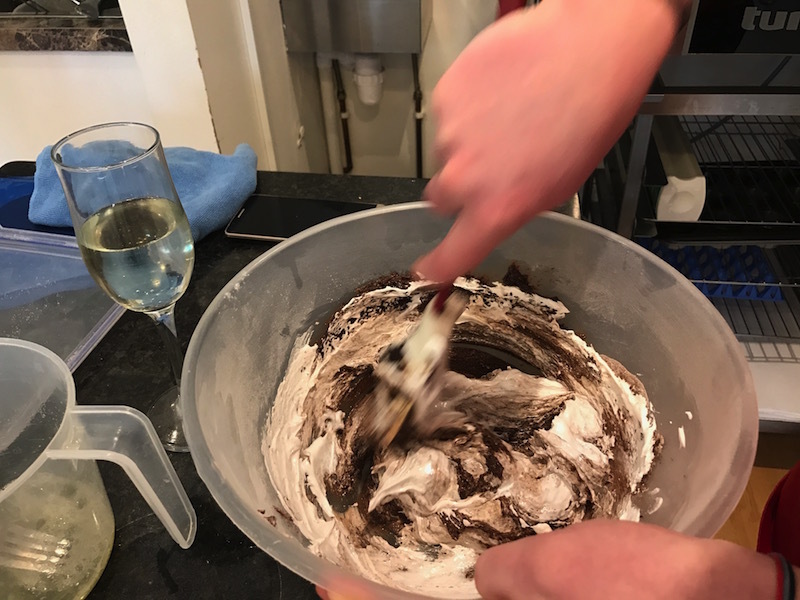 While I was on vanilla macaron duty, Kerry chose to make the chocolate version which involved mixing in chocolate to the meringue and almond mixture. Mixture complete, we moved on to a piping lesson from Lac. 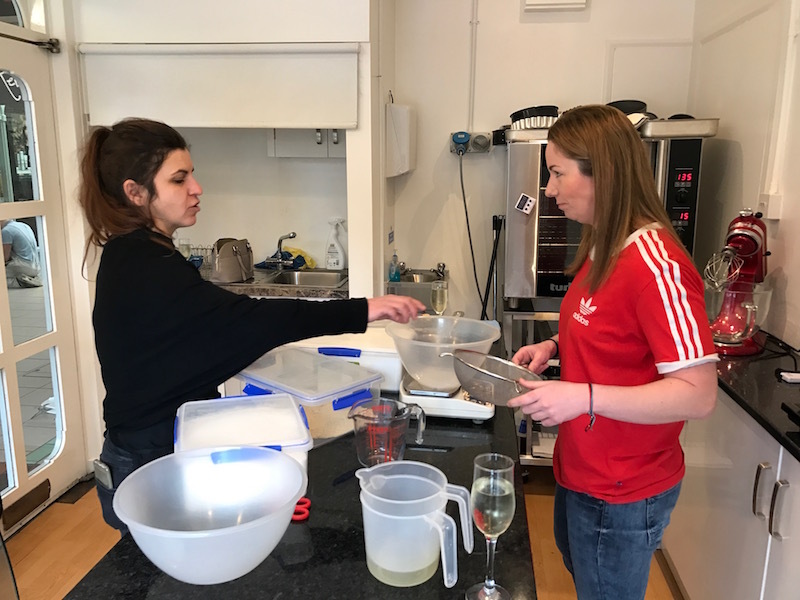 It turns out that while a practised professional can make it look as easy as anything, it’s actually a bit of a skill and you need your mixture to be just the right consistency without turning into wet puddles. Believe me when I say what is here in a few paragraphs and a couple of pictures took far, far longer and was a bit of a challenge for non-culinary queens like Kerry and myself. 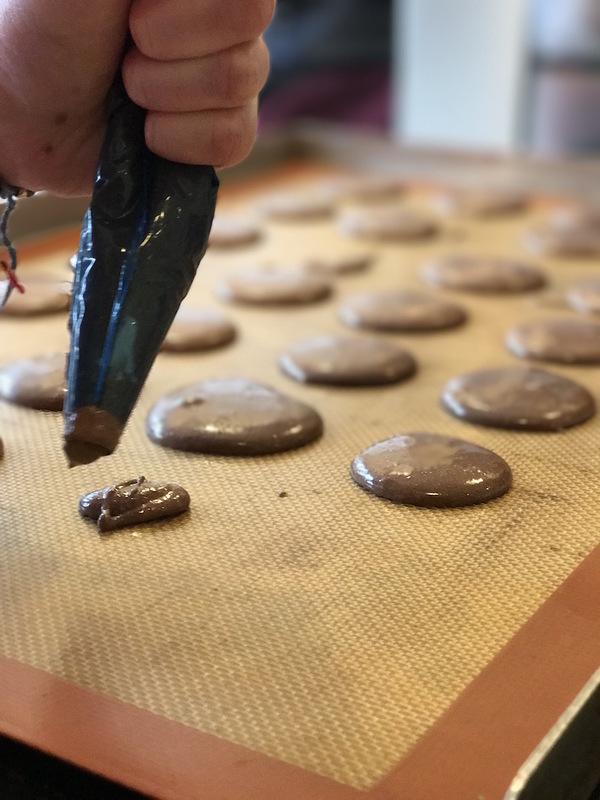 From using the right grip to hold the piping bag, to holding it vertically, using the right amount of mixture, the flourish as you move the bag away, it’s all part of a skill that takes a fair bit of practice – especially if you want your macarons to be uniform in size and shape. Piping done, we tapped the trays before putting them in the oven to hopefully puff up into delicately rounded shells with a glorious sheen on them. 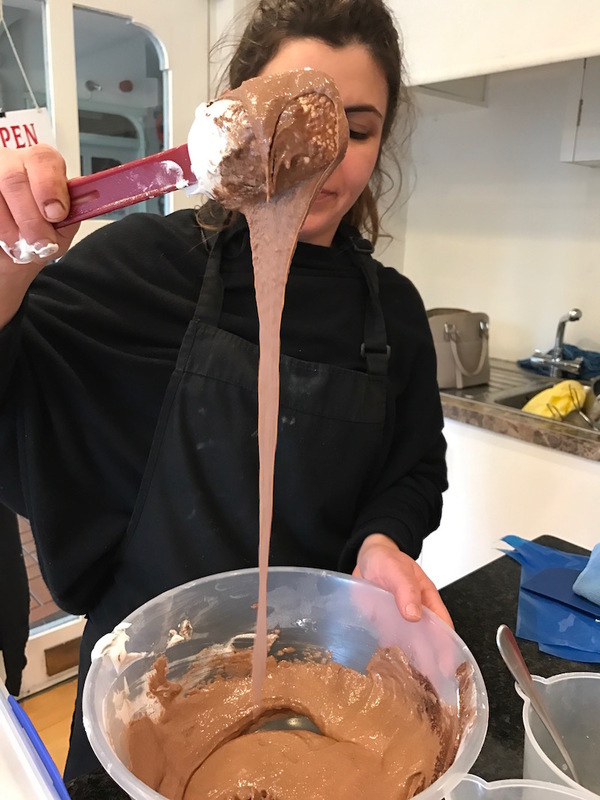 In the meantime, we got cracking with our filling when Lac showed us how to make ‘real’ buttercream icing – none of that simple butter and icing sugar malarkey, but a slightly more complicated process involving egg whites and vanilla. It might not sound like it makes a difference, but trust me, it does. Kerry’s were filled with chocolate ganache – a rich, slightly bitter combination of dark chocolate, butter and cream. 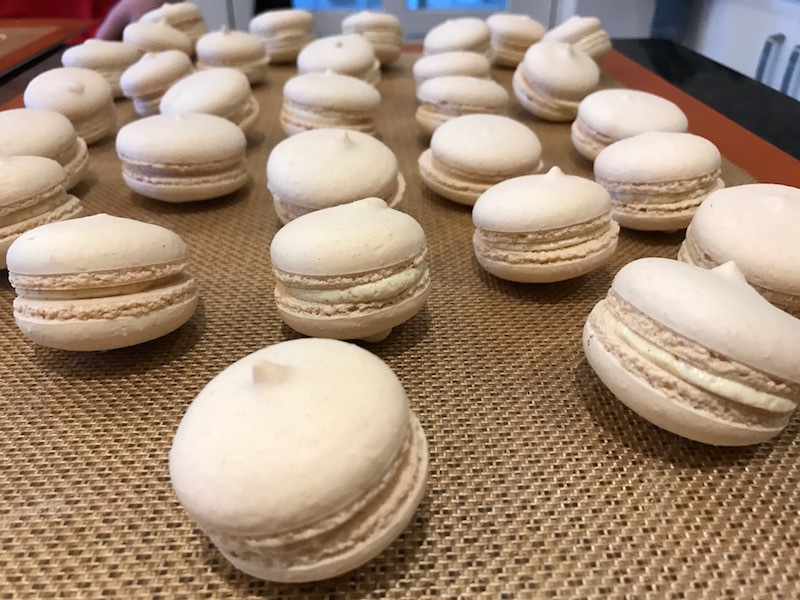 Once our macaron shells were out of the oven, we had to leave them to dry out before getting ready to sandwich them together with our buttercream heaven. Cue more piping and a careful matching up of various different-sized shells. The beauty of macarons is you can start with a basic recipe then play around with them, from adding flavourings to your shells (slightly difficult as they can change the consistency of the mixture) to making all sorts of different fillings, including the raspberry ones with a lovely little blob of jam inside that I tried when I first met Lac. And there you have it – the finished products of our afternoon’s labours. I’ll leave you guys to be the judges of which ones are better (clearly mine lol), though I can confirm that they all tasted blimin marvellous. I’m still in a bit of disbelief that I actually managed to make something quite as delicate as this, that both tasted and looked pretty darn good. 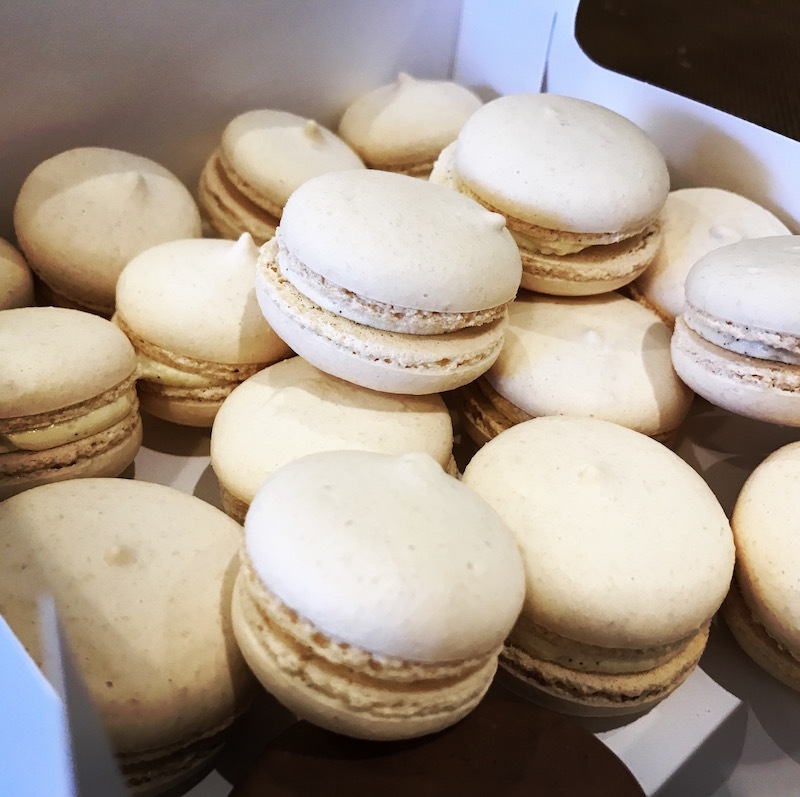 An indulgent combination of sweet meringue that was slightly gooey inside but nice and crunchy on the outside, with the creamy loveliness of vanilla buttercream inside. I’m not hugely confident that I’d be able to replicate my efforts without the excellent guidance from Lac, but theoretically I should be able to. Fortunately, in the meantime I had plenty of macarons to eat as well as some to freeze. Yes, you can freeze these badboys and – thanks to a little tip from Lac – you don’t even have to defrost them before you eat them because you can enjoy them as a little treat that’s like a sort of ice cream sandwich. Bonus! While I might not have managed to recreate my macaron magic at home yet, I had a ball laughing with some pals, sipping bubbles and trying our hand at an art that you might see on Bake Off but never think you could actually do yourself. 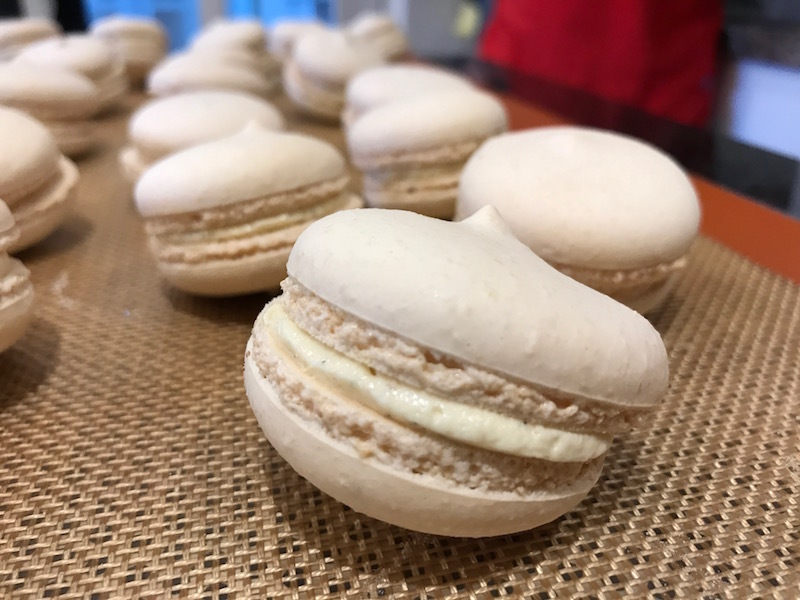 Of course it’s fairly easy to buy macarons these days, from Revelicious or plenty of other places, but they taste so much sweeter when you’ve created them yourself from scratch. 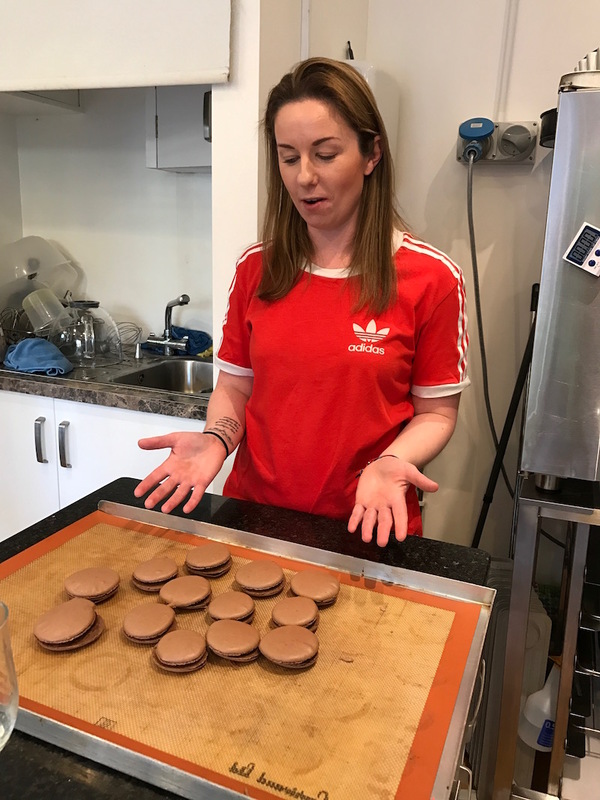 And lucky for us in the Rugby area, Lac is planning on offering the odd macaron class on selected dates so if you want to replicate our Sunday funday, get in touch with Revelicious and ask about macarons. Just make sure you save me some! Make the Italian meringue and fold in the macaron mixture. 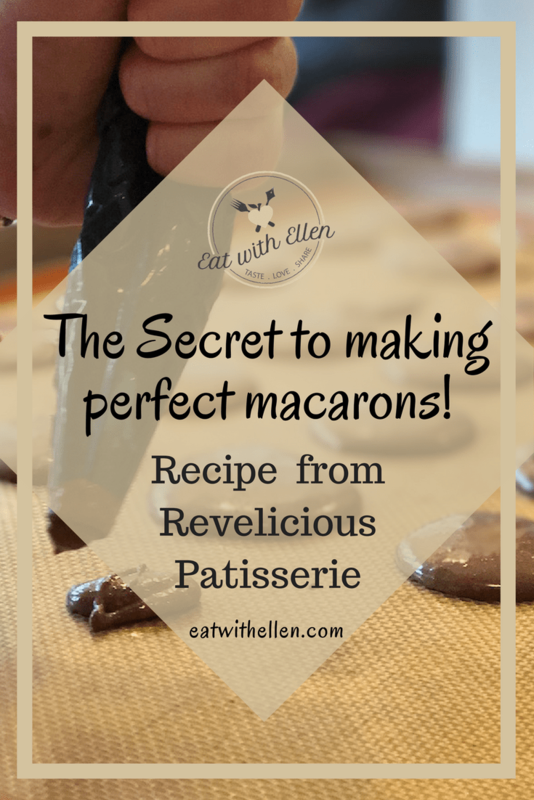 I didn’t pay to make macarons with Lac from Revelicious. She taught me and Kerry for free as a bit of fun on a grey, rainy Sunday.